Careful With That Axe, Eugene: Election poster tie shame - ESB to the rescue! Regular readers of this blog will have noticed that I have had a go at politicians and political parties for their "F**k You" attitude when it comes to election posters. 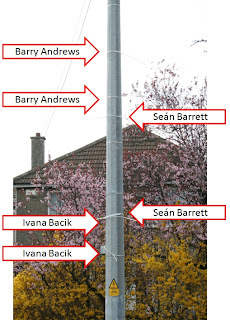 In particular I targeted Seán Barrett, Ivana Bacik, and Barry Andrews for leaving their election poster ties behind for someone else to clean up. This scourge gets up my goat, and I know that it does for a lot of others too. 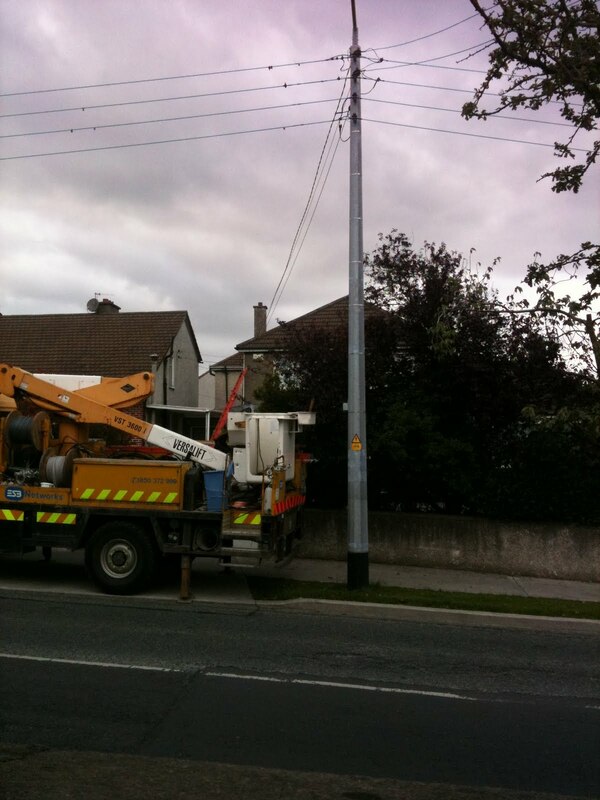 Yesterday evening - the ESB were doing some work on the road at the end of my house and they were replacing some electric cables on the same pole that I have photographed and shown on this blog before. Lo and behold - the poster ties are gone! 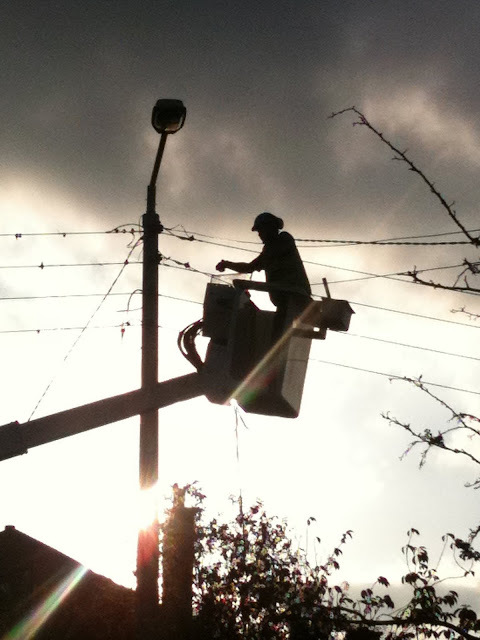 The ESB workers remove them whenever they come across them on their poles - I asked one of the guys about this. They don't mind doing it - they get in the way of their work. 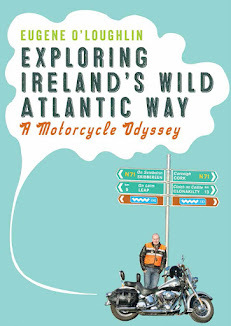 So Seán Barrett, Ivana Bacik, and Barry Andrews can now rest easy in that I won't be trying to embarrass them any more. And congratulations to the ESB for doing something civil and environmental - well done to the lads. Later after I took the picture of the poster tie "naked" ESB pole, I noticed that the ESB guys were still working in the evening sun. I took the picture below with my iPhone - these guys are dedicated and doing a great job. I hope my photo does them justice.